Preparing for HR certification? You’ve come to the right place! Whether you are preparing for the PHR®, SPHR®, aPHR ™, PHRi ™, SPHRi ™, or PHRca®, we have the preparation materials you need. 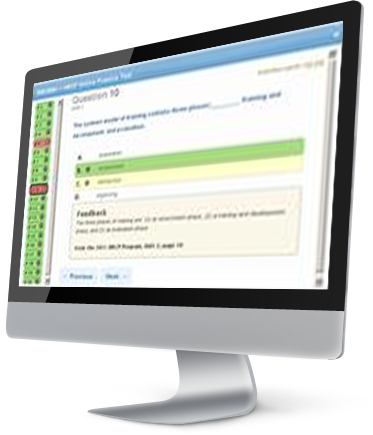 Our comprehensive study materials will help you get ready for your exam. The HRCP Program is available in both print and online editions. 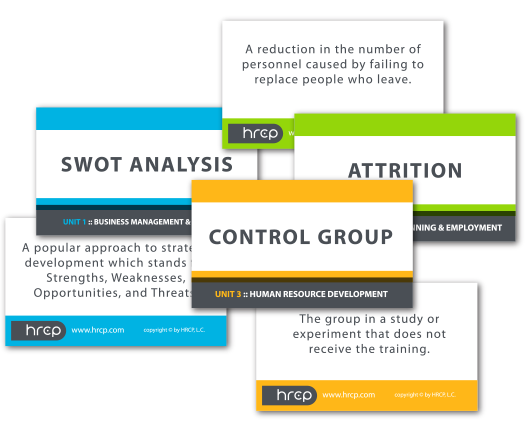 Our flash cards help you learn and review key terms and definitions, and our online practice exams simulate the exam environment and test your mastery of the HR body of knowledge. 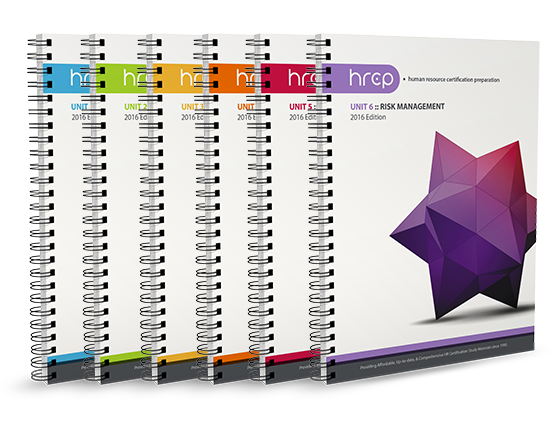 Join the thousands of human resource professionals who have successfully prepared for HR certification using the HRCP Program since 1995. PHR®, SPHR®, aPHR ™, PHRi ™, SPHRi ™, and PHRca® are trademarks of the HR Certification Institute (hrci.org). Passed my PHR exam yesterday! Used your materials and they helped a ton! Thank you!!! I took my aPHR yesterday and Passed with the help of your material! I passed aPHR exam yesterday - the prep work really prepared me. Your material is awesome. I passed the aPHR!!!! Thanks for the great study materials! On November 17th after months of studying HRCP materials for PHR certification, I am very pleased to say that I passed the certification exam. The study materials and practice exams were very helpful. One of the first big decisions (following the obviously pivotal decision to take the HR certification exam in the first place) is the question of whether to join a study group or to prepare alone. Testing opens for the HRCI certification exams in five weeks. We provide several free sample study schedules to fit your personal circumstances. You can choose between a four-week, an eight-week, and a twelve-week schedule. To access the study schedules, click on "PRODUCTS," then select "SAMPLE STUDY SCHEDULES." Best of luck on your exam!